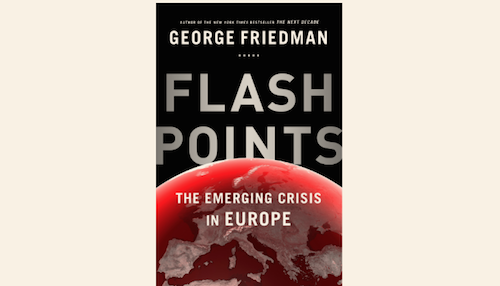 Last week I finished reading the book “Flashpoints — The Emerging Crisis in Europe” by George Friedman (published 2015). I found Friedman’s book to be a fascinating and insightful review of the long history of conflict and political fragmentation of the European peninsula. Friedman brings the story of Europe to life by weaving his own family history into the narrative. Friedman’s family are Eastern European Jews who struggled to survive during the 31 years conflict spanning the two World Wars. However, I was most impressed by the fast that Friedman was able to maintain a very dispassionate and unbiased viewpoint despite the terrible tragedies through which his family and the entire European Jewish community suffered. Friedman provides a great depth and breadth of historical facts to help the reader to understand and interpret the current events and conflicts in Europe. I found a conclusion by Normal Angell (1933 Nobel Peace Prize winner) in his 1909 book “The Great Illusion” to be especially noteworthy, because it echoes commonly held views within the modern community. Angell argued that “war in Europe had become impossible due to the intense level of interdependence between European countries in investments and trade.” I count myself as among the many people who find it difficult to believe that major war could break out today between western countries, or between the West and China, India, and/or Russia precisely because the resulting economic disruption and devastation should obviously make such a war unthinkable and therefore impossible. However, just five years after Angell published his book, Europe became embroiled in total war which was ultimately to last 31 years through the end of WW2, resulting in more than 100 million deaths. I thoroughly enjoyed this book, and highly recommend it.